MUMBAI MAHARASHTRA INDIA NOVEMBER 20, 2016 11.45 P.M.
Last week a film called ” ISHQ JUNOON ” got released. Critics were not kind to the film. In fact they were indifferent. And before general public could even know about it, ” ISHQ JUNOON ” was out of theatres. It tanked. And I know, with it tanked many dreams. So called intellectuals, learned critics, all-powerful producers, mighty directors and film connoisseurs want to see only results. But for me story of the journey matters and I know the story of the journey. I can visualise the whole scene. I am going to portray the whole picture today. People in India have no high regards for Bihar. They may be even oblivious of a nondescript town known as Aurangabad. But many years back the story began there. In the same nondescript town known as Aurangabad story of DIVYA SINGH started unfolding. May be one day in the dead of night DIVYA visualised herself on the silver screen. May be one day in the bright morning she gathered all the courage at her command and informed her parents about her decision. Do so-called intellectuals, learned critics, all-powerful producers, mighty directors and film connoisseurs know what happens when a small town girl starts dreaming about a career in the film industry? Do so-called intellectuals, learned critics, all-powerful producers, mighty directors and film connoisseurs know what happens when a small town girl gathers courage and informs her parents? Do so-called intellectuals, learned critics, all-powerful producers, mighty directors and film connoisseurs know what happens when a small town girl decides to come to Mumbai and pursue a career in films? Do they know the amount of ridicule someone , specially a girl faces in a small town? Do they know the abuses a girl goes through in a small town? Do they know how a girl is admonished, ridiculed and made fun of by their non caring, heartless, callous and crude relatives in a small town? Do they know how a girl is looked down and sneered by her friends and neighbourhood acquaintances when she decides to join the film industry? Here a small town girl aimed for the Everest and tried against all odds. So respect the struggle and not the outcome. Outcome can change overnight and yes, it will change. She is in an august ( Debut Film Flop ) club. Here is the list. I would love to quote a song from a 1958 film called ” Phir Subah Hogi ” . Yes वो सुबह कभी तो आएगी . It will come definitely. I won’t be there to see that morning. But today as I write this blog I can see that a painfully long, sad, cold and black winter night is about to end. I can see light emerging at the end of the tunnel. Sun is shinning with all its glory. It’s warmth will mitigate all the miseries and painful memories of past. And in that shinning brightness I vividly see DIVYA SINGH, the same helpless, dreamy girl from Aurangabad, Bihar, standing and taking her rightful place. And that too without the help of a godfather or a godmother. A new NUTAN will be born on that day. And yes, the world can ridicule her and make fun of her till then. Good Luck Bihar ! You Got What You Wanted !! MUMBAI – MAHARASHTRA – INDIA NOVEMBER 29, 2015 06.35 P.M.
As I write this blog, I am saddened and pained. I was going through the list of the ministers of Nitish Kumar government in Bihar. Out of 29 ministers, only 2 ; Chandrika Rai [ Minister of Transport ] is post-graduate and Ram Vichar Rai [ Minister of Agriculture ] is graduate. Alok Mehta [ Minister of Cooperative Movement ] is still doing his graduation. Apart from above mentioned 3, rest 26 are below 12th pass. Shiv Chandra Ram [ Minister of Art & Culture ] is illiterate. This is the cabinet of Nitish Kumar [ SUSHASAN BABU ] in Bihar. And this in 2015. The land of Nalanda University, the land of Chanakya & Chandragupta, the land of Mauryan empire, the land of Gautam Buddha and the land of Ashok the Great has degenerated to this level. In democracy you get the government you deserve and desire. So for this state of affairs, no one is to be blamed but the people of Bihar. So good luck Bihar! You chose the government of your choice and liking. I am ashamed and posting the list of ministers in Hindi so that foreigners cannot read and they don’t have negative thoughts about Resurgent India of 2015 under Narendra Modi. 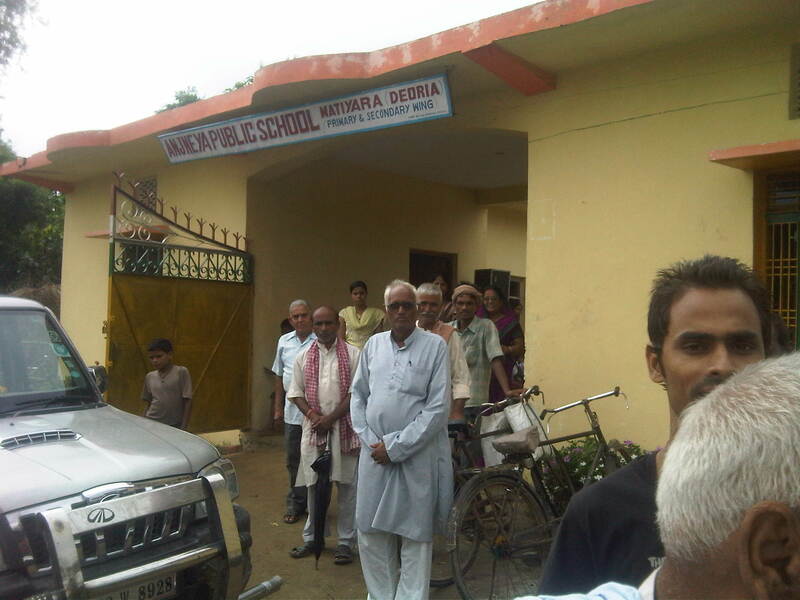 DEORIA – UTTAR PRADESH – INDIA JUNE 30 , 2013 08.30 P.M. 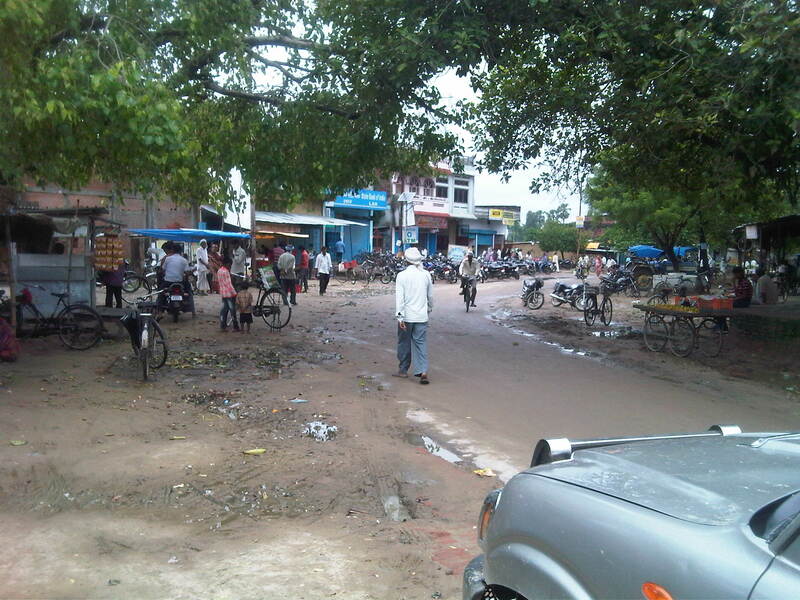 Yesterday on June 29 , 2013 I visited Lar , a small town in Deoria district . It was a visit which happened after almost 22 years . So naturally when I was passing through the rain – washed roads of Lar , several floodgates of memory suddenly got opened and I was inundated with myriads thoughts , various feelings – some fresh , some a little bit obfuscated . 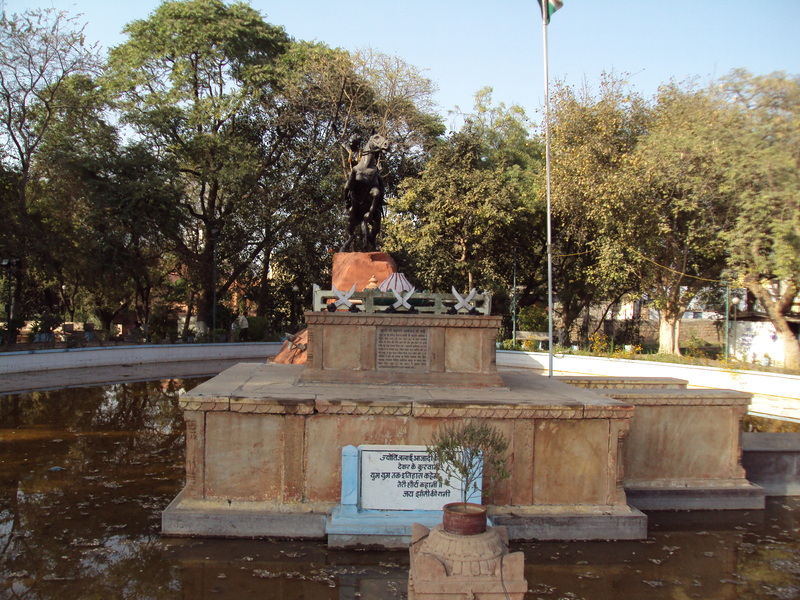 I vividly remember my first visit of the town , which I visited 39 years back . 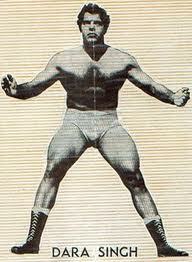 My father died in February 1974 and then I started managing my ancestral properties . 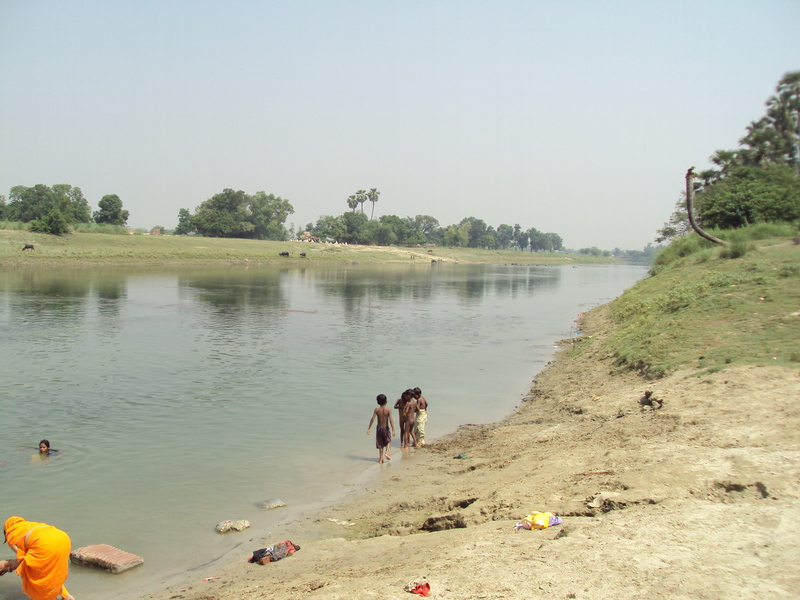 In that connection I paid visit to Sohagara , a village in Bihar on the bank of river Gandak , which is the village of my forefathers . It was noon time in April 1974 . I alighted from the bus in the blistering heat and proceeded for my onward journey to Sohagara . Since there were no pucca roads or any vehicles to ferry me to Sohagara , I started my journey on foot . I passed through the market . It was first time that I saw Lar town and the bazar , which is situated on the both sides of a narrow pathway . I crossed the bazar and took the road connecting Lar to Chanuki Ghat . 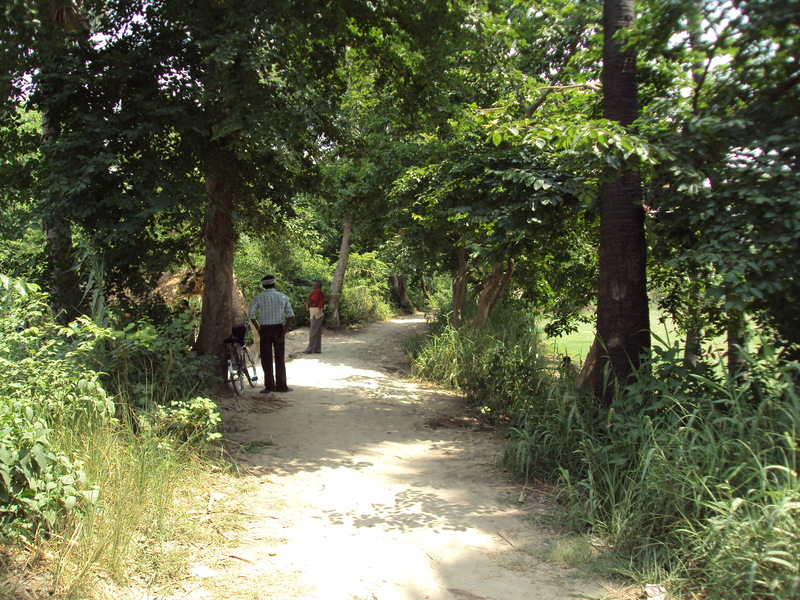 After crossing Gandak river I set foot on the dusty road of Sohagara village . It happened 39 years back but visuals are still fresh in my memory as if it all happened recently . After that day it became almost a monthly ritual to pass through Lar for onwards journey to Sohagara . In those days I had no friends or acquaintances in Lar . Barring a Mithai / tea shop near Bus Station , I had no place to even sit for some time . After few years , around 1985 I started working in social field . Now my visits to Lar became more frequent . From monthly visit to the town , it became almost weekly . I started interacting with people . During my those social service days , I got to know Shri Bhanu Ji and various other people of Lar . Suddenly life took an unknown turn . It took another route ; a route less travelled , a route not well-known , a route very daunting , a road full of pitfalls . 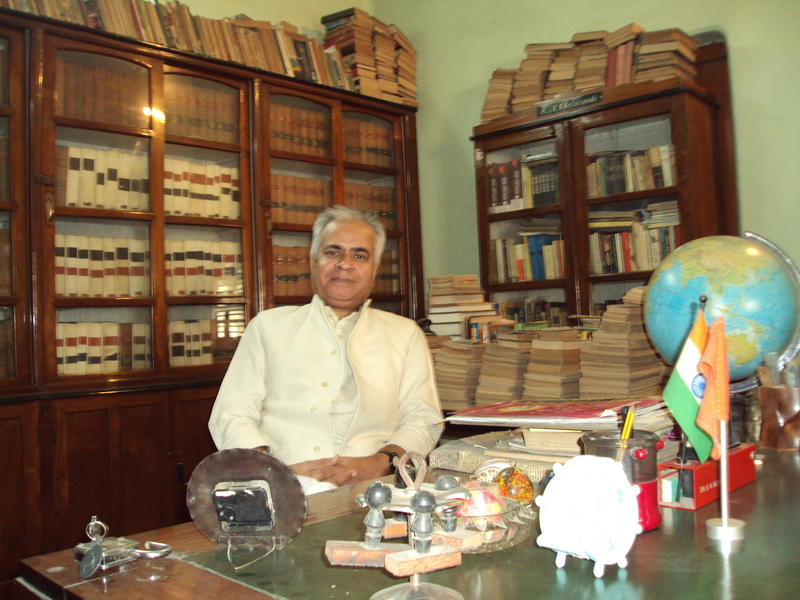 I left Deoria for Mumbai [ then Bombay ] in 1989 and after that my association with Lar was snapped abruptly . I was not able to visit Lar . I did visit Sohagara but I always took another road through Majhauli . Relationships , friendships and all the connections got frozen and they remained in frozen state since then . Lar did remain in my memory but as I said earlier everything remained frozen , dormant . I was busy in Mumbai . Running acting institute is not an easy task . It took most of my time . Because of the nature of my work , I got used to internet and became active on various social networking sites . Suddenly and unexpectedly life again took another turn and a turn for better . Bhanu Ji’s son Suryendu Kumar caught hold of me through facebook . Ice started melting suddenly . As if ice – age ended and warmth of life was there again for everyone to feel . Relationships came out of deep-freezer and once again got fresh lease of life . In June 2013 I reached Deoria for my annual trip and Bhanu Ji and his son Suryendu Kumar came to meet me . They were kind enough to invite me to inaugurate the new session of their school , ANJANEYA PUBLIC SCHOOL . I readily accepted the invitation . I started in the morning from Deoria , reached Lar around 8.30 . The town has changed drastically . Chanuki Mod , which was a desolate corner 39 years ago , is bustling with activity and is changed beyond recognition . I had tea at Bhanu Ji’s house . Then we proceeded for Matiyara . Fate is strange . Destiny is mysterious . They play curious games with hidden hands . Once again I was travelling on the same road , which I took 39 years ago for my journey to Sohagara . 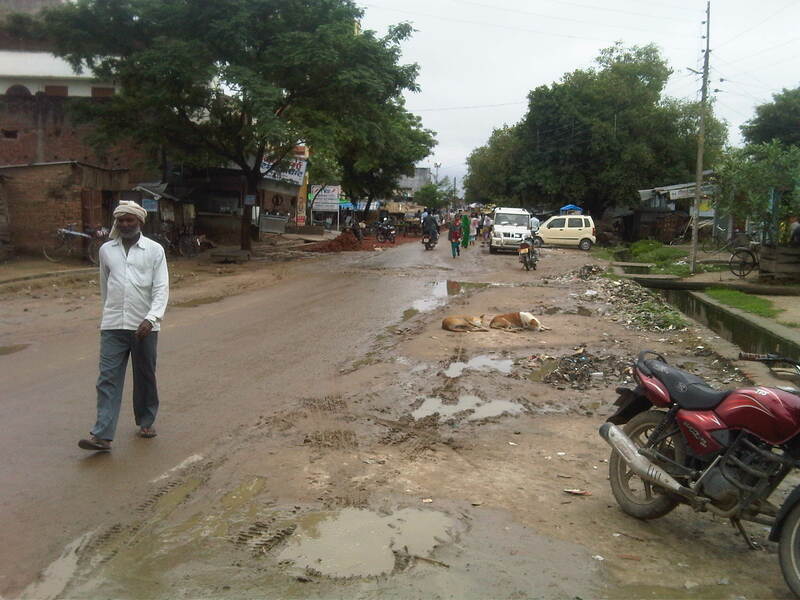 When I left Deoria , I thought that I would never be able to see the road again . But as I said , destiny plays strange and curious games . 39 years ago it was blistering heat of April and I was walking on the dusty road . And this time it was wet , rain – washed June and I was travelling in a car . But the road was same . I am happy that I agreed to go for the function . It was nice to meet bright boys and girls of ANJANEYA PUBLIC SCHOOL . It was heart-warming to meet some old acquaintances . It was nostalgic to travel on the same road after 22 years . 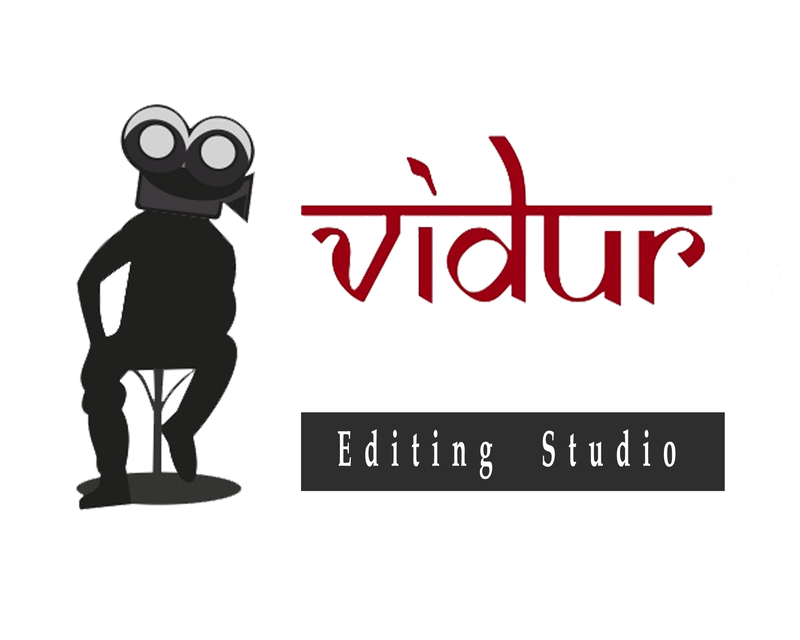 On behalf of all the students and staff of VIDUR Acting Institute , which is known as Vidur’s Kreating Charakters , I wish the boys and girls of ANJANEYA PUBLIC SCHOOL a very bright future .VIDUR Editing Studio , VIDUR Club and VIDUR Theatre would also like to wish them well in their glorious journey ahead . MUMBAI – MAHARASHTRA – INDIA JUNE 13 , 2013 01.15 A.M. I was shocked and dumbfounded . BJP without Advaniji or Advaniji without BJP is not comprehensible . I left every work and was glued to the TV set for a while . 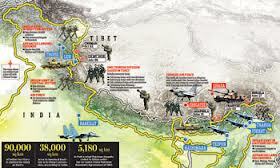 I watched the news for sometime and then started recollecting the incidents of past few days . In BJP since almost 1 year there was a clamour for bigger role for Shri Narendra Modi . No sane person can find fault with this . But the picture was being painted as if Advaniji was against this . The fact of the matter is that Advaniji was solely responsible for Shri Narendra Modi’s elevation to the post of Chief Minister of Gujarat and he also saved Gujarat strongman from being sacked in the aftermath of Gujarat riots of 2002 . Shri Atal Bihari Vajpayee wanted to remove him from the post . So how can he be against Shri Modi ? 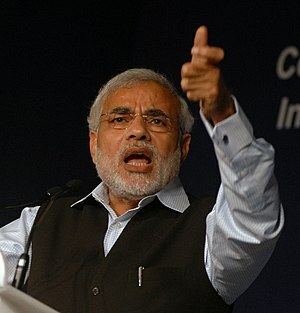 Every BJP leader , who were assembled at Goa for the party’s National Executive Committee meeting , took a decision to appoint Shri Narendra Modi as the Chairman of The Campaign Committee for the 2014 Lok Sabha election . Since Advaniji didn’t attend the National Executive meet , he was painted as a villain , a greedy old man who was hankering for power and pelf. There was even a demonstration in front of his New Delhi house by some organization called Modi Sena . I was pained by the sight . It was unbelievable and unthinkable few years back . No sane BJP worker will demonstrate against Advaniji . But some Modi Sena staged protest and instead of condemning it immediately and wholeheartedly , BJP leaders simply distanced themselves from it . That is all for this deplorable act . Then , when asked about Advaniji’s health , BJP spokes-person Prakash Javdekar said in Goa , ” jab mausam badalta hai to log beemar pad jaate hain ” . I simply ask , is it fair ? 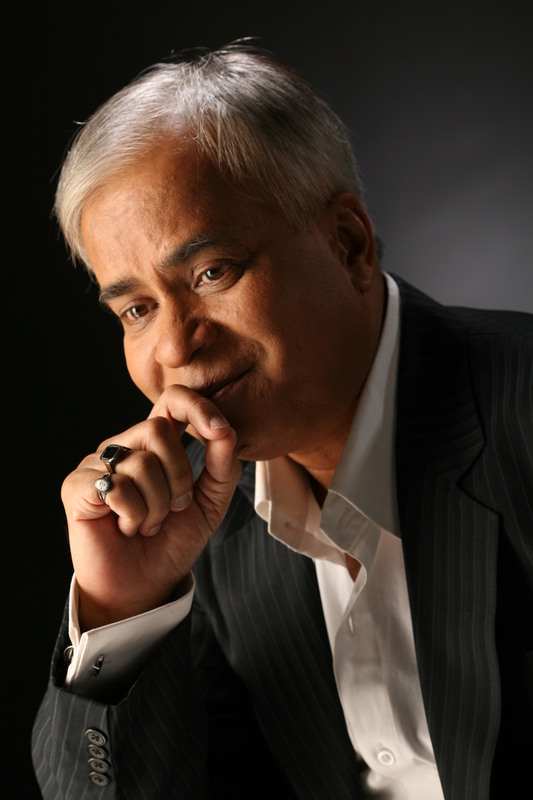 ” …………….. mausam badalta hai ……………. ” indicates some connotation and it carries unambiguous meaning in the given present context . A Prakash Javdekar commenting like this and sarcastically taunting Advaniji , is deplorable . In my opinion it all started after the 2009 Lok Sabha defeat . Therefore there seems to be a conspiracy against Advaniji . I think that is the reason he took a painful decision of resigning from the Bharatiya Janata Party , which he nurtured whole of his life . He resigned on Monday , that is on June 10 , 2013 . What followed afterwords is more sinful and shameful . Verbal abuse on twitter was unleashed . Obnoxious postings on facebook by some Rastra Dharma Rakshak and it’s patron Dhiraj Desmukh started with ferocity . This Rastra Dharma Rakshak supports Shri Narendra Modi and posts obscene comments about Advaniji . Some comments are not even worthy of writing . Again a deafening silence by BJP on such posts is baffling . A day after his resignation , when efforts were on to persuade Advaniji to take back his resignation , a certain Prabhat Jha , the vice Prsident of BJP , said that one individual is not above the party . In fact this sermon is being dished out from several other sources also . Can I ask why the party was not above the individual when it got just 2 seats in 1984 ? From 2 seats in 1984 to a first BJP led government in 1998 , and to 182 seats in 1999 , Advaniji worked tirelessly . May I know why party was not above the individual in those momentous but dark and futureless 14 /15 years ? He is accused to be driven by personal agenda . From 2 seats to 182 seats , from a party on the periphery , to the ruling party at the centre , he led BJP to unimaginable glories and when the clamour for him to become the Prime Minister was reaching a crescendo , he proposed Shri Atal Bihari Vajpayee’s name . And the same person is now called by some minions and upstarts as driven by ambition and self – agenda . 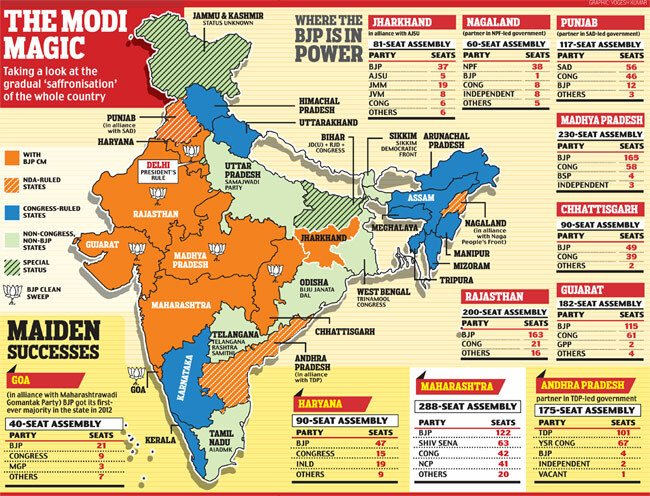 Even today BJP rules 4 provinces [ Gujarat , Madhya Pradesh , Chhattisgarh and Goa ] on its own and 3 provinces [ Punjab , Bihar and Nagaland ] as dominant coalition partner . But votaries of new order say that BJP lost 2004 and 2009 parliamentary elections and its seat tally came down . It won only 138 seats in 2004 and 116 seats in 2009 . But such people conveniently forget the gradual ascent of the BJP . 2 seats in 1984 , 89 seats in 1989 , 120 seats in 1991 , 161 seats in 1996 , 178 seats in 1998 , 182 seats in 1999 , 138 seats in 2004 and 116 seats in 2009 . Even if seat tally came down to 116 in 2009 , it was much better than 2 seats in 1984 . But political calculations are driven by convenience . And the current convenience is winning parliamentary elections in 2014 . And some people feel that for this task you need Shri Narendra Modi’s face . It is absolutely fine . Every one welcomed the decision . But to anoint a new leader , you need not ridicule and mock the aging patriarch . This is India and respecting elders is our tradition . That is precisely the reason that people cutting across part line are supporting Advaniji and showing sympathy. Not only Indian National Congress but even CPI and CPI-M showed empathy towards him . 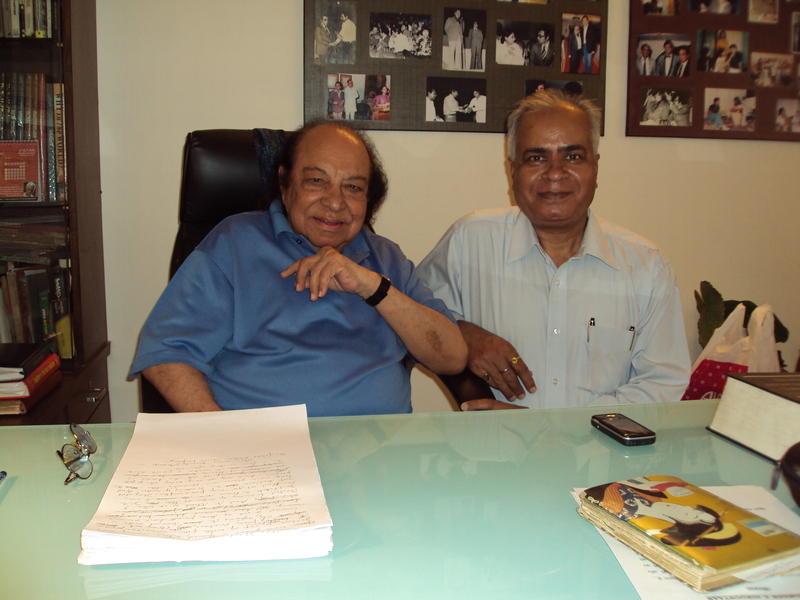 Urdu press , which is not favourably dispensed towards Advaniji , was sympathetic and supportive . They called this behaviour of sidelining him unfaithfulness and betrayal of an aging senior . I am a non entity . But I was saddened by the turn of events . 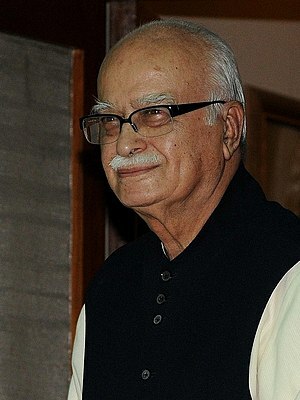 I am only trying to raise my voice against the ridicule , insult and mocking of Advaniji , who is now 85 . We should not left him in the cold . To play a Balraj Madhok on him is not possible in this age of social media and if some one , driven by personal agenda , is trying to do this , he should be condemned . I am raising my voice fully knowing that I may be in minority . But TRUTH ALWAYS WINS . I , along with my above mentioned institutions , wholeheartedly condemn the verbal attacks on Advaniji . After writing this blog I am relieved of my guilt . At least I have raised my voice against the insult being heaped on the aging patriarch of the family . I am happy Advaniji , I am not in the list of people , who failed you at this juncture of your life . MUMBAI – MAHARASHTRA – INDIA APRIL 14 , 2013 10.40 P.M.
As the scene is becoming interesting , as the water is becoming muddy , as the temperature is rising menacingly , as the players are getting ready for a fight to finish , as leaders are being chosen to lead , as the respective armies are getting ready to wager their lives , as the country is getting ready for a spectacular drama , as the world is watching with anxiety , let us start looking at the current scenario in our country. Lok Sabh or parliamentary election is due in 2014 . But preparation has already started . Over the years I have watched that media ; print and electronic both – proffer some fascinating observations . Some of it becomes reality and some fail miserably . In recent times comments are being made on various social media sites also . 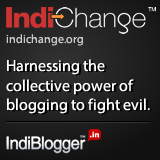 Anonymous netizens are posting their views on micro -blogging sites and are making the scene murkier . Already precarious political scenario is becoming more unpredictable . I will try to save all the poll related writings till the election results are out in 2014 . It would be very interesting to read all these articles after the results are out . The first in the series is not a blog in real sense of the term . These are tweets being re-produced here from the twitter-handle of Shri Raghunath AS . He brilliantly exposes claims being made by Shri Nitish Kumar , the Chief Minister of Bihar , about the growth of Bihar . Phenomenal growth record of NiKu: In top 10 states with highest no. of Engineering Colleges in India, Bih not there. MP,Kar, CG feature. Phenomenal growth record of NiKu: In top 10 states with highest Biz Schools in India, Bih not there. Kar, MP, Guj feature. Phenomenal growth record of NiKu: In top 10 states with highest colleges in India, MP & Guj feature ahead of Bihar. Phenomenal growth record of NiKu: In top 10 states with highest Ayurveda hospitals in India,Bih not there. Kar, Guj, MP, HP feature. Phenomenal growth record of NiKu: In top 10 states with highest rural Govt hospital Bih not there. Kar,MP,Guj there. Odisha tops! Phenomenal growth record of NiKu: In top 10 states with highest LPG distributors Bih not there. MP, Guj, Kar feature. @asraghunath As rightly said by Laloo abt ShivanandTiwari’s defection to JD(U), that he’s his Hanuman, sent to Nitish’s camp with a mission. Phenomenal growth record of Nitish Kumar: Gujarat, Madhya Pradesh produce more Banana than Bihar! 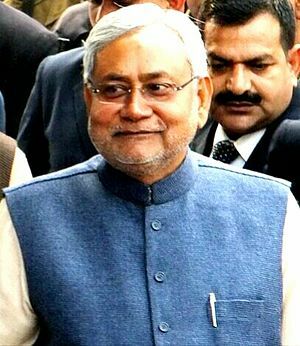 Phenomenal growth record of Nitish Kumar: Guj, MP produce more Garlic than Bihar. Phenomenal growth record of Nitish Kumar: Guj, MP, Kar produce more Bajra than Bihar. Phenomenal growth record of Nitish Kumar: Bihar is not in the top 10 league of the states with largest cropped area. MP, Guj Kar are there. Till 2014 I will keep on writing blogs and sometimes will re-produce interesting stories from various social networking sites . And will keep on doing this till Election 2014 is over . 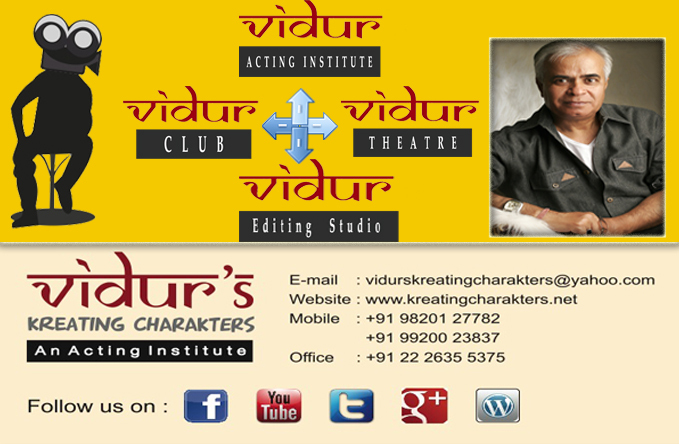 I feel that VIDUR Acting Institute , which is known as , Vidur’s Kreating Charakters , is not only an acting institute , it also has some social and national duties and obligations . I may not be running the most famous acting school of Mumbai , or the most famous acting institute of India , or the most famous acting academy of bollywood , or the most famous acting institute of the world , I may be small and very insignificant , but I thought it proper to offer my views on this important matter .